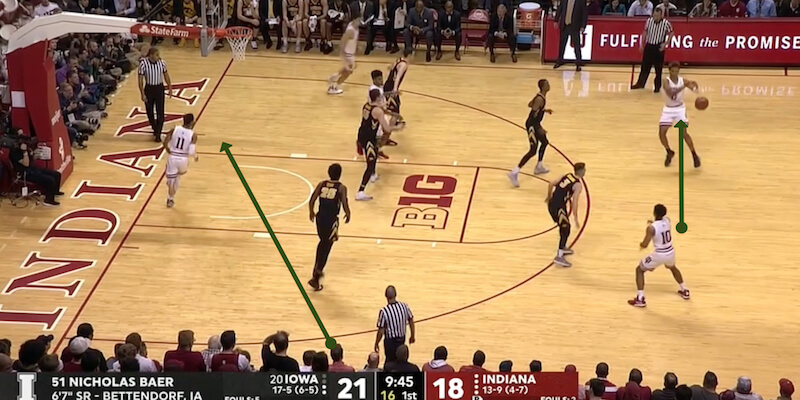 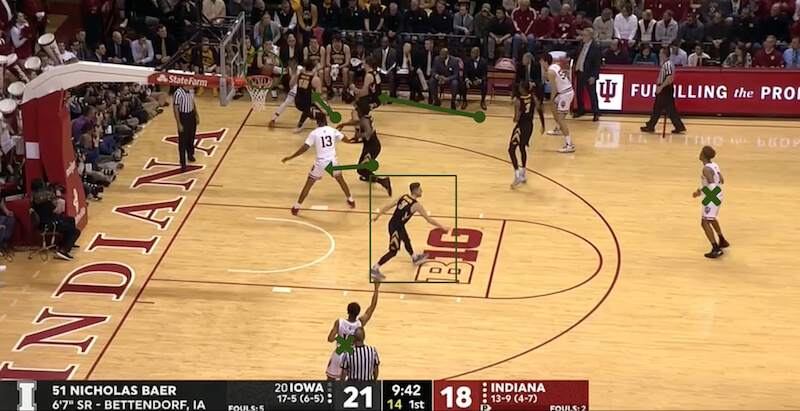 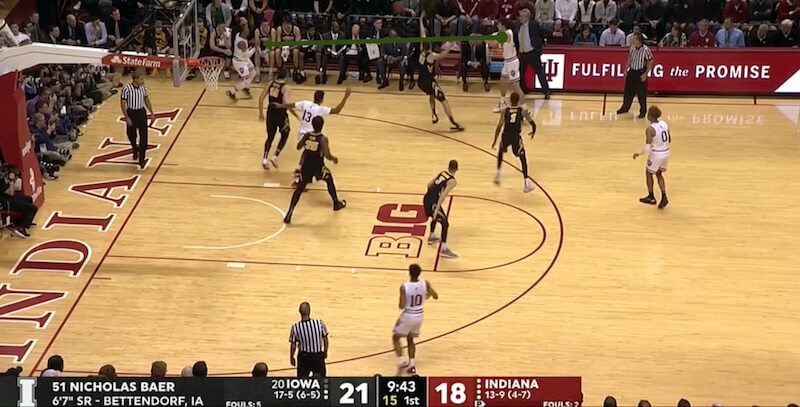 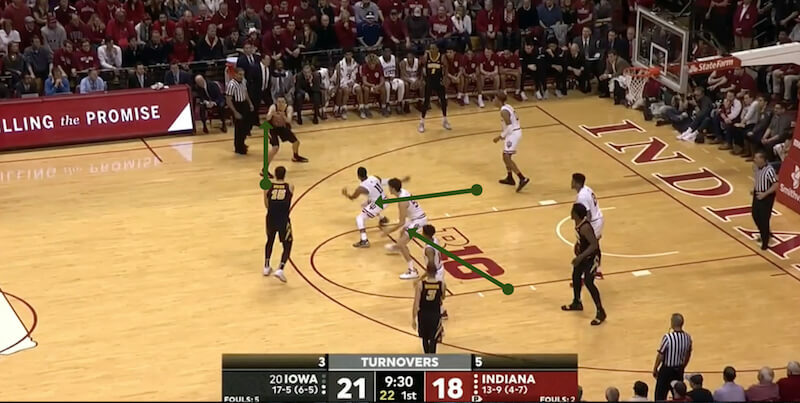 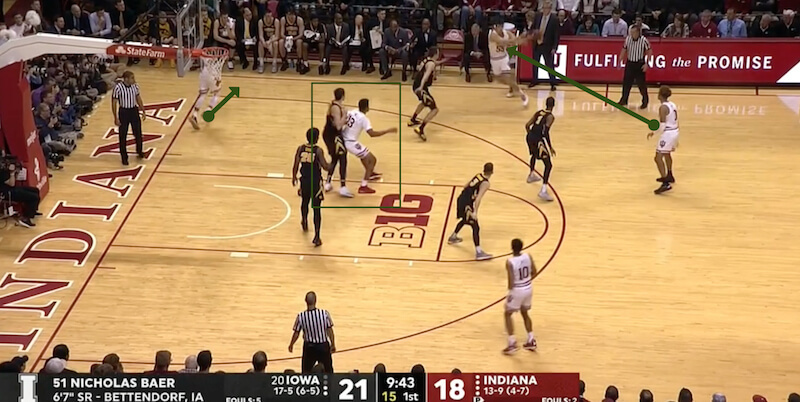 In its tough loss to Iowa on Thursday evening, Indiana was faced with a zone defense from the Hawkeyes for a good chunk of the contest. 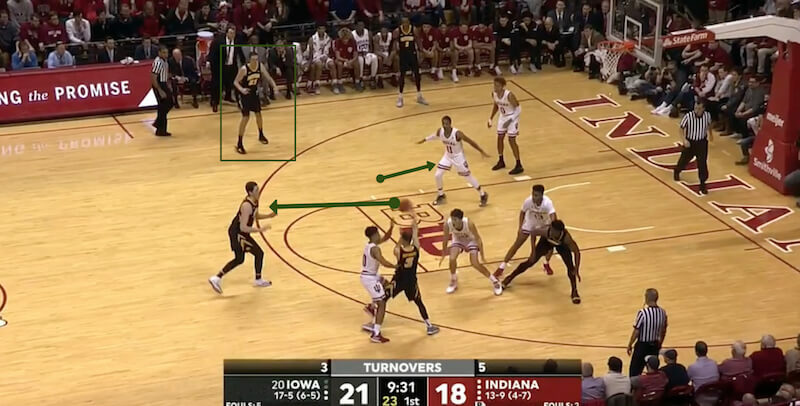 While Indiana struggled — especially early on and when it got pressured with double teams — it eventually found enough success to score a solid 1.09 points per possession for the game. 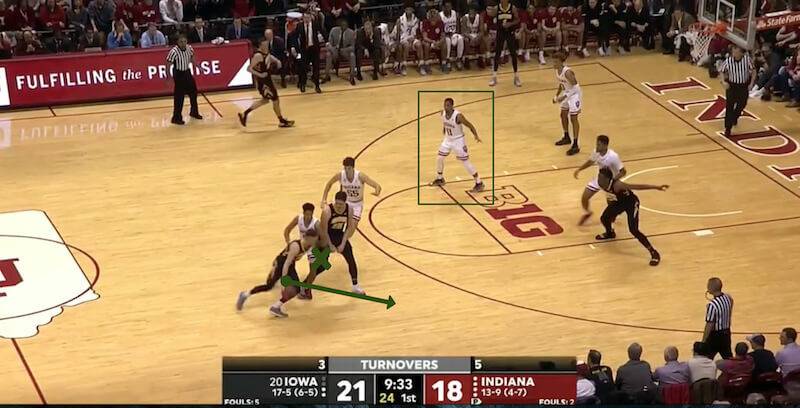 Rough look for Green on both ends here on a night he just didn’t have it. 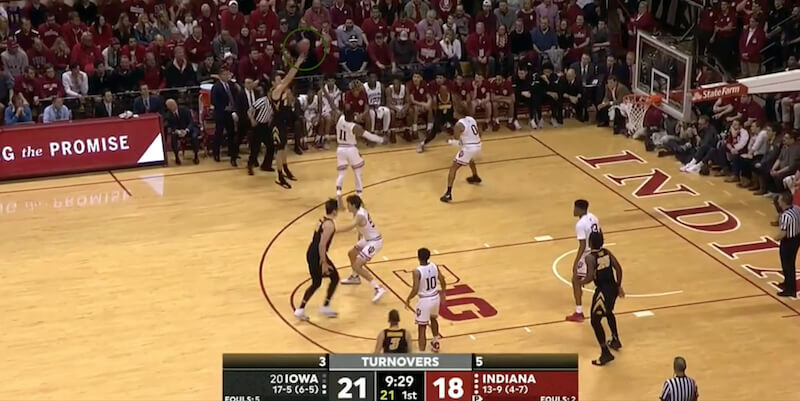 Indiana’s turnovers turned into 19 points for the Hawkeyes in this one, a key decider in the outcome.